Physicists want to use ultracold gases in space to measure the Earth's gravitational field, to subject Einstein's Equivalence Principle to an accurate test, and also to detect gravitational waves. 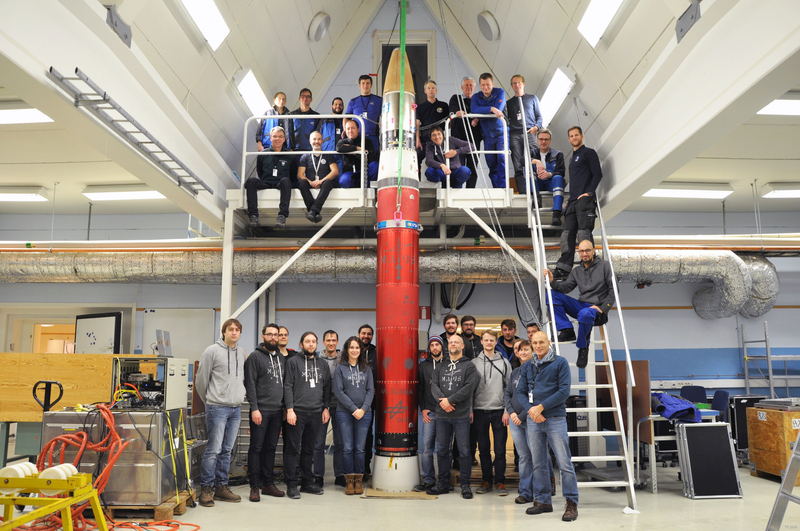 The first flight in a sounding rocket made it now possible to test the necessary technologies and experimental steps required for measurements of this nature. In doing so, the group generated a Bose-Einstein condensate and was able to examine its properties in space for the first time. The research rocket MAIUS-1 was launched from the Esrange Space Center in Sweden for a 15-minute flight at 3:30 a.m. CET on 23 January 2017. The flight carried the payload with the experiment for creating Bose-Einstein condensates of rubidium atoms that were to be used for undertaking accurate measurements at heights of up to 240 kilometers. Ultracold quantum gases can be used in zero gravity conditions as high-precision sensors for gravitation, for instance, in order to determine whether objects in the same gravitational field actually do fall at the same rate as predicted by standard theories. Zero gravity makes it possible to verify Einstein's so-called Equivalence Principle far more accurately than would be possible on Earth. The Mainz representative in the research group lead by Leibniz Universität Hannover is Professor Patrick Windpassinger of the Institute of Physics at Johannes Gutenberg University Mainz (JGU). During the 15-minute flight the researchers generated a Bose-Einstein condensate from rubidium atoms every two to four seconds using an automated process. A Bose-Einstein condensate is a state of matter in which the atoms have a temperature very close to absolute zero and can therefore be controlled with great precision. The researchers used laser pulses to transfer the condensate into a state of so-called quantum-mechanical superposition. "This means that the atoms are in two different locations at the same time," explained Professor Patrick Windpassinger, one of the project leaders of the German national research network. This state makes it possible to accurately measure the forces impacting on the atoms. Gravitational experiments also work on Earth, as in measurements carried out in drop towers. The observation times in zero gravity, however, are much longer and the results obtained are therefore more accurate. The research project is the result of more than ten years of work: "From a technical viewpoint, it is one of the most elaborate experiments ever to go up in a rocket," said Windpassinger. "The experiment had to be compact and robust enough to withstand the vibrations during the launch, but also small and lightweight enough to fit inside the rocket." 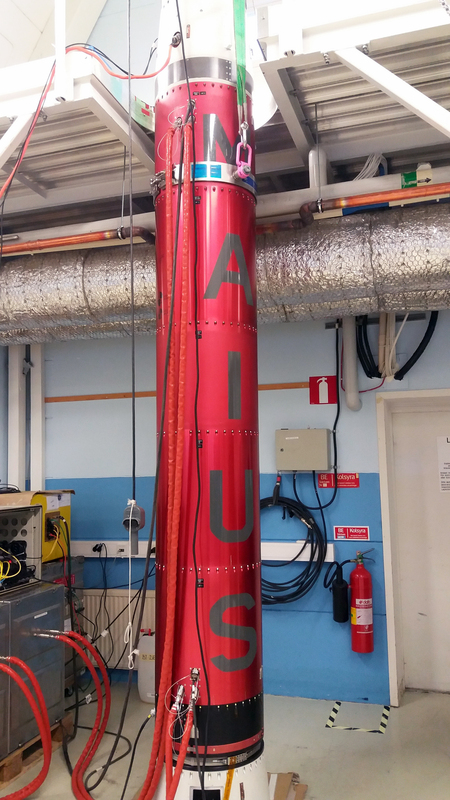 Researchers at Mainz University developed a special software algorithm specifically for the MAIUS-1 rocket that helped control the experiment's laser system correctly. The laser system itself also had to be elaborately developed, tested, and constructed over many years. This task was undertaken using miniaturized diode lasers by a team at Humboldt-Universität zu Berlin and the Ferdinand Braun Institute, Leibniz Institute for High-Frequency Technology (FBH) in Berlin, under the lead of Professor Achim Peters. Scientists at Johannes Gutenberg University Mainz developed the beam distribution and manipulation system in close cooperation with the group headed by Professor Klaus Sengstock of Universität Hamburg. The system employs a special glass ceramic called Zerodur made by Schott AG, Mainz that is very stable with regard to temperature changes. Following the development of hardware and software, there are still unpredictable factors that can create complications in an undertaking like this. "If you're out of luck the rocket launch can be delayed time and again by a few days or even months—due to a technical problem, bad weather, or because a herd of reindeer is in the vicinity of the landing site," said Dr. André Wenzlawski, research associate in Professor Patrick Windpassinger's team who attended the launch in Sweden on behalf of Mainz University. "We are therefore very happy that it worked out." However, it is still too early for conclusive statements or results. Another two rocket missions and experiments on the International Space Station ISS are planned for the coming years. 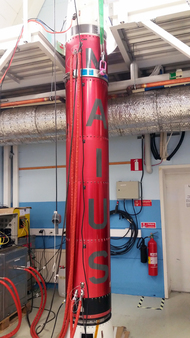 The MAIUS-1 high-altitude research rocket mission was implemented as a joint project by Leibniz Universität Hannover, the University of Bremen, Johannes Gutenberg University Mainz, Universität Hamburg, Humboldt-Universität zu Berlin, the Ferdinand-Braun-Institut, Leibniz-Institut für Höchstfrequenztechnik (FBH) in Berlin, TU Darmstadt, Ulm University, and the German Aerospace Center (DLR). Financing for the project was arranged by DLR Space Mission Management and funds were provided by the German Federal Ministry for Economic Affairs and Energy on the basis of a resolution of the German Bundestag.